Hello Recharge Dostbook lovers!! Today I am back with an another free recharge earning app which name RealScreen App. 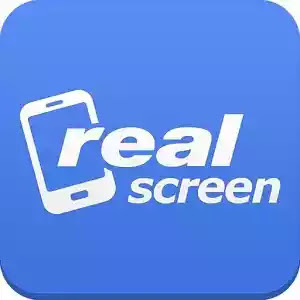 RealScreen provides you free mobile airtime for unlocking RealScreen locker,watching ads, installing apps, refering friends etc. Also get Rs 15 as sign up bonus and Rs 10 for referring each friends. • Download RealScreen App & open it. • Enter your mobile number. • Click on “Start RealScreen”. • Verify your mobile number using OTP. • Fill up your profile to earn 250 coins. • Now click on “Sign up & Get Coin”. • To earn 250 coins click on “Connect Facebook & Get Coin” button & Proceed. • Enter below no to earn 1000 coins. • Now click on “refer and earn” button. • Click on setting from right side top corner & set your nickname. • Invite your friends to download realscreen app using whatsapp,hike,line etc. • When your friend downloads realscreen app and sign up using your nickname then both of you will get 1000 coins. * 1500 coins (=Rs 15) as sign up bonus. * 4000 coins (=Rs 40) if you refer 4 friends. Since Minimum recharge amount is Rs 50. So Collect 5000 coins and then redeem your coins to get a free recharge of Rs 50. Collect more coins to earn unlimited free recharge.